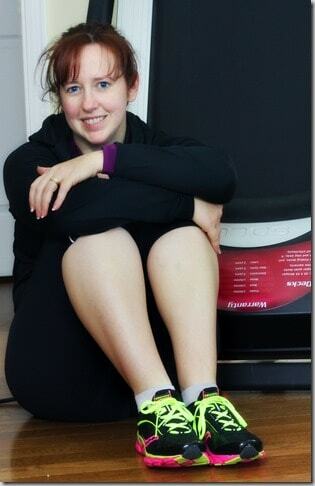 It’s been a while since I’ve talked about running shoes! Most readers know I like to stick with what works when it comes to shoes, but my favorite shoe has been discontinued. I needed new shoes and Saucony came to the rescue with the Virrata. During my year long struggle with hip issues and IT band physical therapy, we worked on changing my gait to a more natural landing. As I’ve worked on strengthening my legs with CrossFit, my stride took a more midfoot landing which means I no longer have to use those heavy “stability” shoes that I loved. My last 4 pairs of shoes were part of a minimal “neutral” line but still had a significant drop of 10mm. Now I am trying out a zero drop shoe. Stripped down to strong. The Virrata is our lightest and most flexible training shoe and allows your foot to move naturally. We removed everything that isn’t helping your run improve. What remains is a feather-light, ultra flexible shoe with advanced cushioning that promotes a powerful stride and allows your foot to move the way it was meant to. Built on a 0mm offset, this shoe lets your feet do the work while providing plenty of protection from the road. 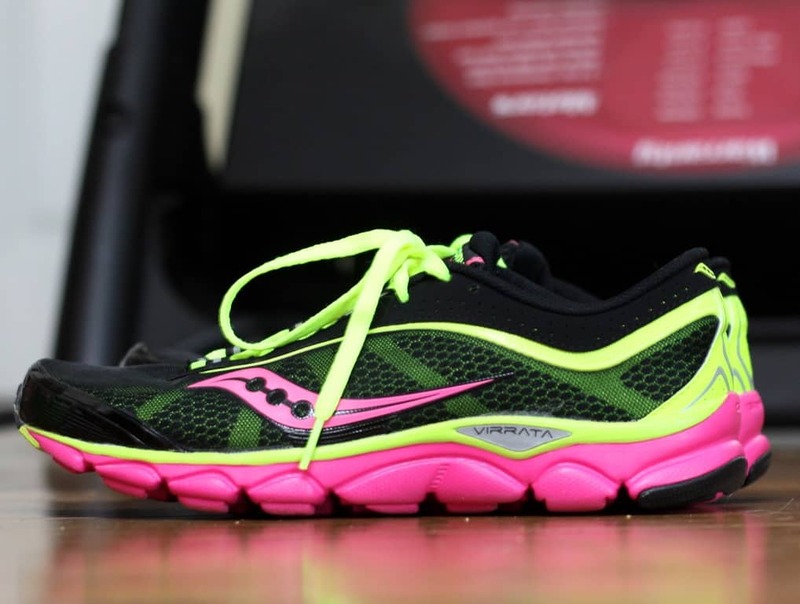 The breathable mesh upper makes the shoe incredible lightweight and quick-drying to run in wet weather conditions. What exactly does “zero drop” mean? It simply means the heel and the forefoot are the same distance from the ground. If a shoe has any drop at all, that drop would be the amount of millimeters higher the HEEL would be from the forefoot. Traditional shoes have drops (heels) on average of 12-14mm. What is the purpose of Zero drop? Significant heel drops may be the reason for many running injuries because they shorten the Achilles tendon, encourage heavy force landing due to heel striking, and can cause more overpronation. 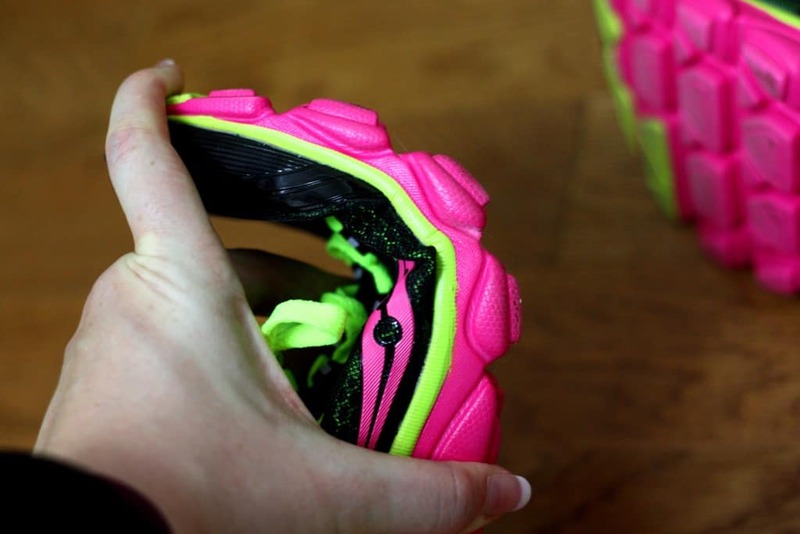 Shorter or zero drops naturally cause the runner to adopt a more natural forefoot or midfoot landing. What is the 18mm? 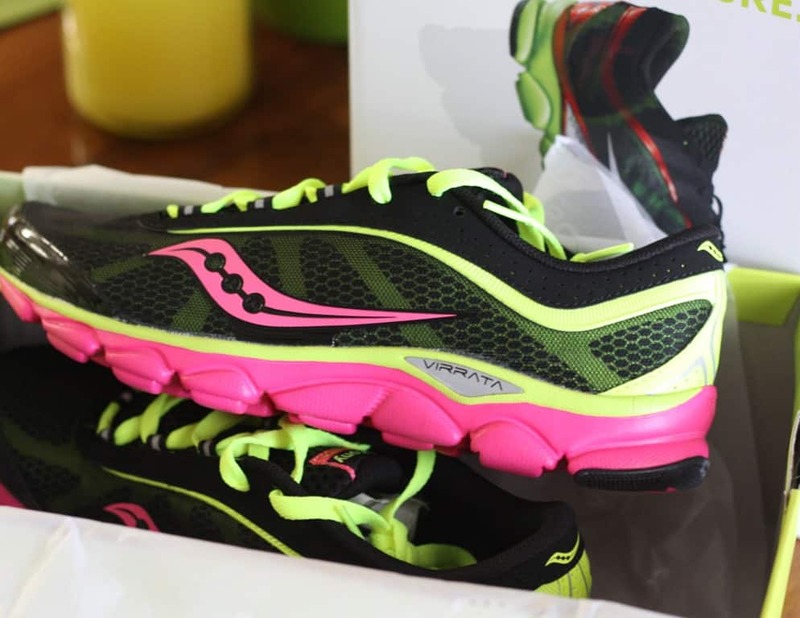 Both the heel and the forefoot have 18mm of cushioning. That is what makes this a cushioned shoe but still have a Zero drop. This is important for that subgroup of people who clearly enjoy a more minimal shoe that encourages a natural forefoot strike, but want and need a little more between their foot and road. After about 20 miles, I have a few thoughts about this shoe. Appearance: Obviously, this is a great looking shoe! But I’m much more interested in the technical details. It is truly quick drying, which I found out after getting caught in the rain. I like the reflective details on the back and sides. The inner liner is a single bootie construction so the tongue stays in place. I have no idea why, but my left shoe always had a sliding tongue in my traditional trainers. I really liked this single wrap around construction. This shoe has a roomy toe box which is perfect for my long toes. I wear a size 10.5 and a lot of that length is due to my toes. Another feature is the individual pods on the bottom which allow for maximum flexibility. Performance: I am very impressed with the combination of flexibility and cushioning with these. Previous cushioned shoes didn’t work for me because my feet would roll all over the place during the heel-toe transition which made me overpronate. With these, I’m landing on my forefoot and there is minimal roll at all. I find that my running gait is extremely efficient. I’m returning to longer distances after a long period of illness and health issues, and my mileage is increasing steadily with these. Final Thoughts: This is a great shoe for those who want to move towards a true minimalist shoe but still need some cushioning. Not everyone is going to be a candidate for true minimalist running, but I think most people want to find their most efficient gait in order to improve performance with minimal injuries. That being said, I caution those who are currently using traditional high drop trainers. I would highly encourage those to very GRADUALLY ease into mileage with these shoes. The zero drop instantly engages the lower calves. For more information on making the transition to neutral or minimal shoes, check out my post. I absolutely love this shoe and it is my new favorite trainer for my upcoming races. I have 3 half marathons in 3 months and I think the Virrata will be an excellent training shoe. For additional information, check out Saucony.